The Wasp-Men From Mars shoot is coming up. The first day of shooting is April 16th. We have rehearsals and costume fittings planned for the next couple of weeks. We plan to take plenty of photos and videos for you as we prep for the shoot. 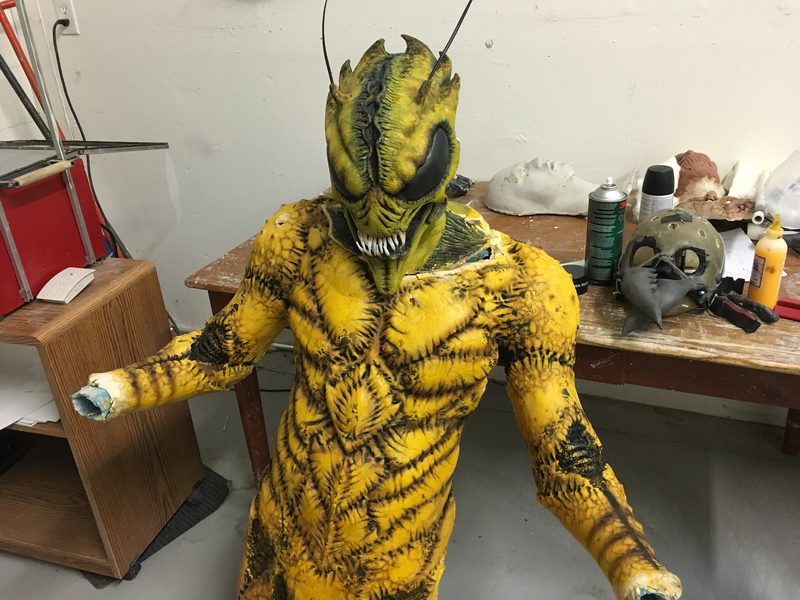 Speaking of photos, want to see how the Wasp-Men costumes are coming along? 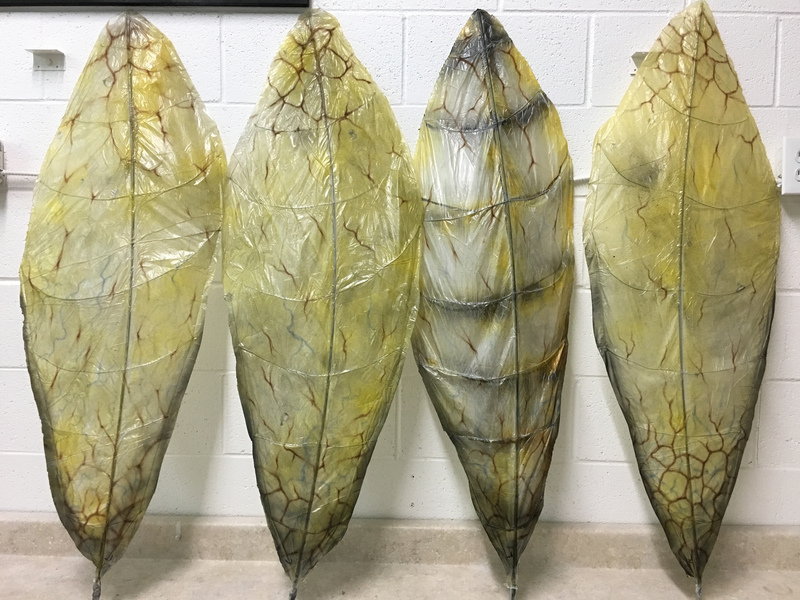 The costumes are still being made, but they will be ready by April 16th. 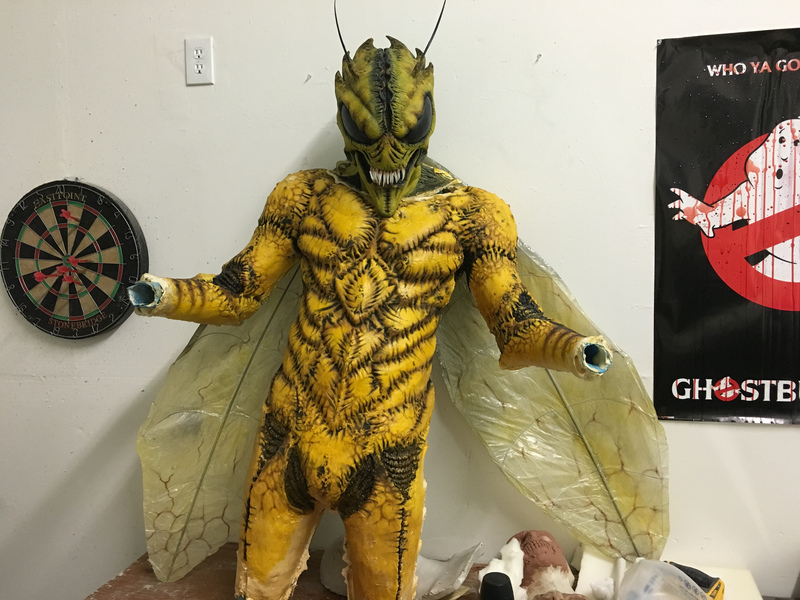 Here’s a painted Wasp-Men head and body. You’ll notice that the head is a greenish yellow while the body is orange. 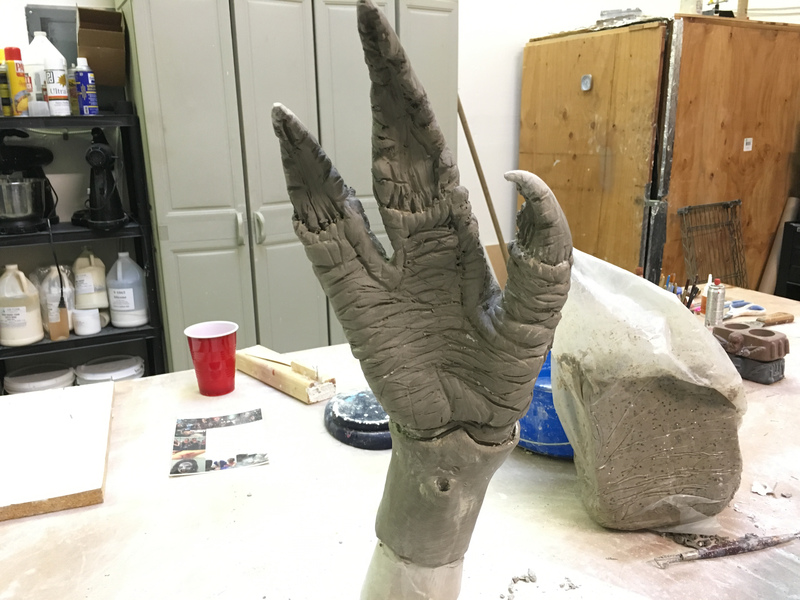 Our costume makers painted these body parts in different ways to see how they would come out. The green head will get a green body while the orange body will get an orange head. The third Wasp-Man will also be orange. More details will be added to the body, including hairs poking out of the chest. And this gives you an idea of what the Wasp-Man will look like with wings. For our “hero” Wasp-Man, the wings will move. And speaking of moving parts, our “hero” Wasp-Man will have moving mandibles. 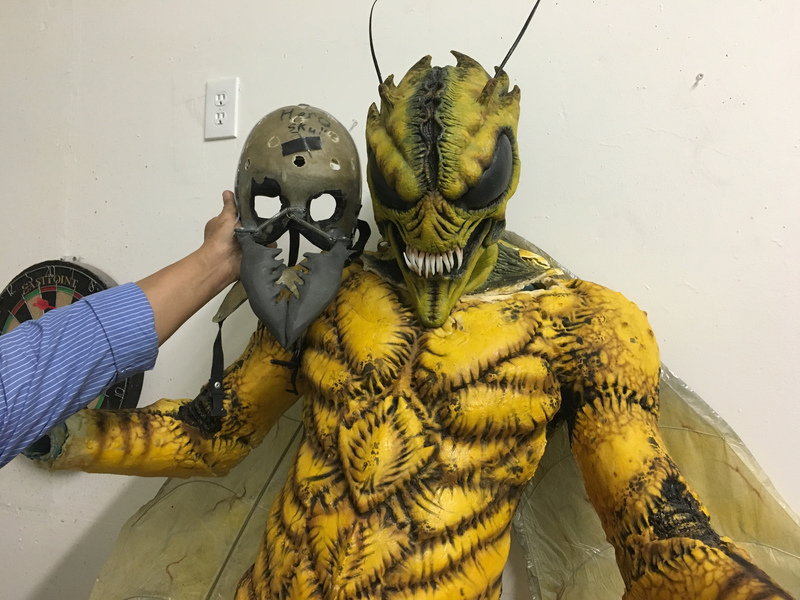 We have a special skull cap made so that when the actor moves his jaws, the mandibles will open, revealing the Wasp-Man’s mouth. 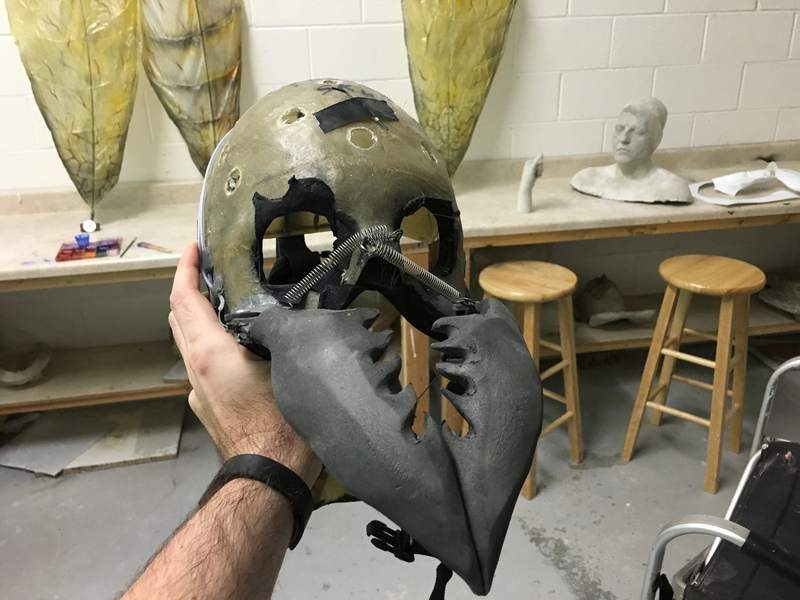 Some details still need to be added to the mask. A special coating will be added to the eyes to make them shiny. Some “moisture” will be added to the mouth. 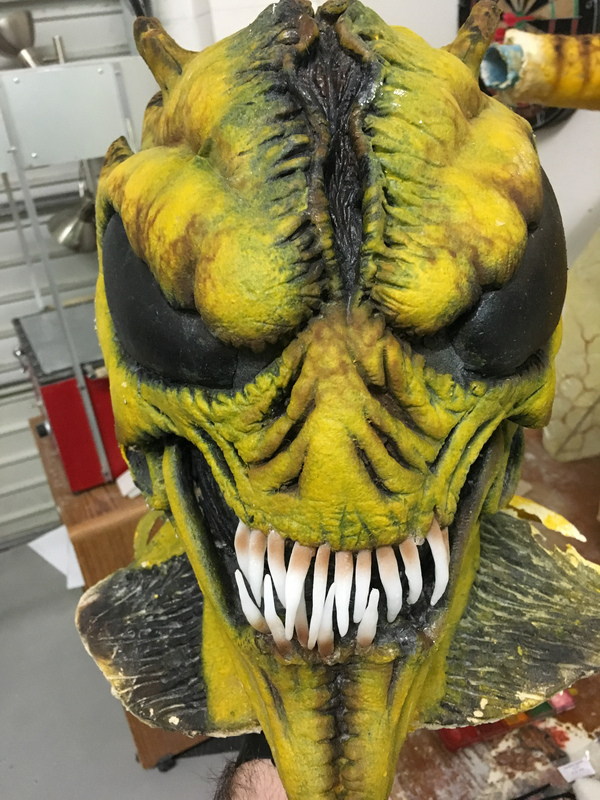 Eye holes will be cut out next to the wasp eyes and covered with black mesh. 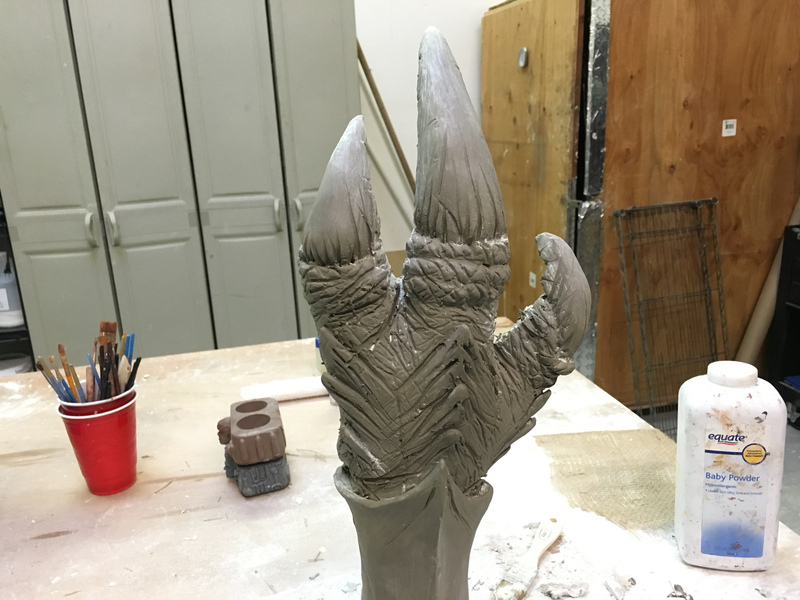 And here are the sculpts for the Wasp-Men’s claws. A stinger will pop out of the underside of the Wasp-Man’s wrist. That’s what we have for now. Things are getting pretty busy for us as we ramp up to production, but we promise to keep you all in the loop. Previous Post Announcing the Wasp-Men Cast!